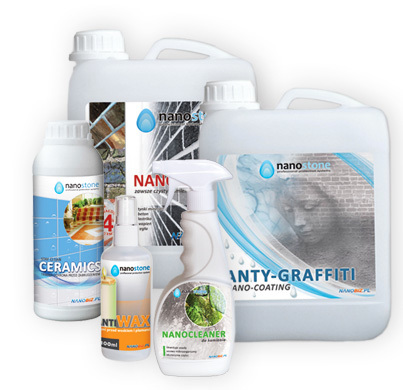 NANOSTONE is an innovative technology protection of natural stone, concrete and other mineral surfaces. With a careful view on safety of animal and human health, as well as, the environment, NANOSTONE coatings were created on the basis of water and silicon compounds - does not contain any solvents! Moreover, the coatings contain "smart" nano-materials that react chemically with the hedged surface, not creating a "sticky not preamble” layer. Through the reaction of molecules of the coating, steam-permeable layer creates protection which very effectively guards stone or concrete from harmful physical and chemical agents. Application of nano-particles allows for full penetration into the interior structure of stone or concrete, which greatly increases the effectiveness of protection. NANOSTONE coatings do not change the look or color of the treated surface. Extended lifetime and durability of treated surface.